INDIA. Mumbai. 2006. 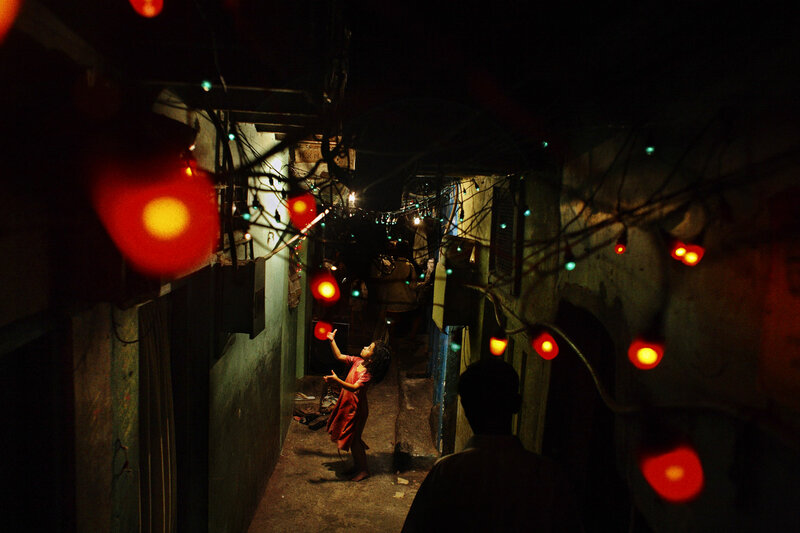 A girl playing in a typical Dharavi alleyway. The lights are set out for a local neighborhood wedding.